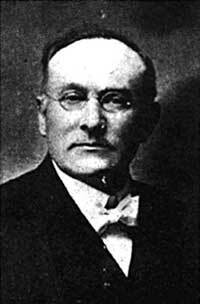 Reverend George L. Zocher was a native of Dresden, Germany, born in 1872. He came to the United States in 1890 to study for the ministry at the University of the Pacific at San Jose, California. He attended the University of the Pacific at San Jose, California and became an American citizen on September 9, 1895. A few days later he married Barbara Lou Lindemeyer. Rev. Zocher was in the ministry for 51 years serving churches in Missouri, Illinois, Iowa, South Dakota, Oregon, and Washington. After serving the Ebenezer German Congregational Church in Portland, Rev. Zocher went on to the Zion Church in Ritzville, Washington (1928-1933), the First German church in Dryden, Washington (1934-1936) and St. Mark’s Church in Olympia, Washington (1931-1940). Reverend Zocher died in December 1944. His funeral services were held at the Second German Congregational Church in Portland with Pastor H. Hagelganz officiating and he was interred at the Rose City Cemetery.